Home » What do you collect? There might be a few individuals out there that don’t collect anything, but most of us collect something in one way or fashion, whether or not its a cute or serious addiction. 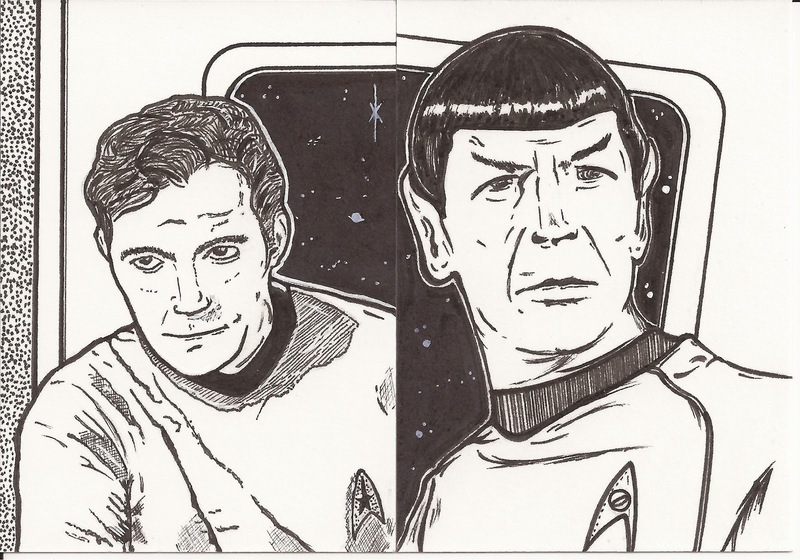 My favorite thing to collect as of late is Sketch or Art Cards, they are about the size of a baseball card, and are really miniature pieces of art! 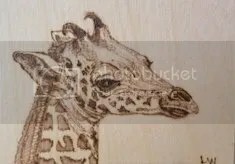 They are often hand drawn with either pencil, charcoal, colored pencils or markers. Some are made with watercolors, or paint. Creativity is the key. I have a rather large collection (er…I mean obsession) right now. Here is a example of what one or two looks like. I love that you can get small easel’s to display them, or I just put them in protective baseball card vinyl page’s, and I put them in large D-ring binders so people can enjoy and look at them like a coffee book. 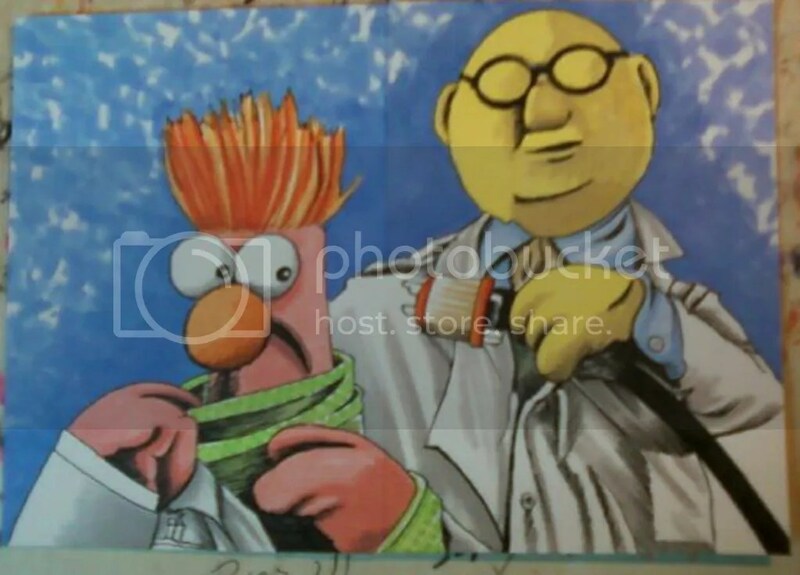 Above you will see two colored art cards, one of which is one of my favorite characters Beaker. These are hand drawn and colored and again, make great art statements in their own right. So where can you get them? 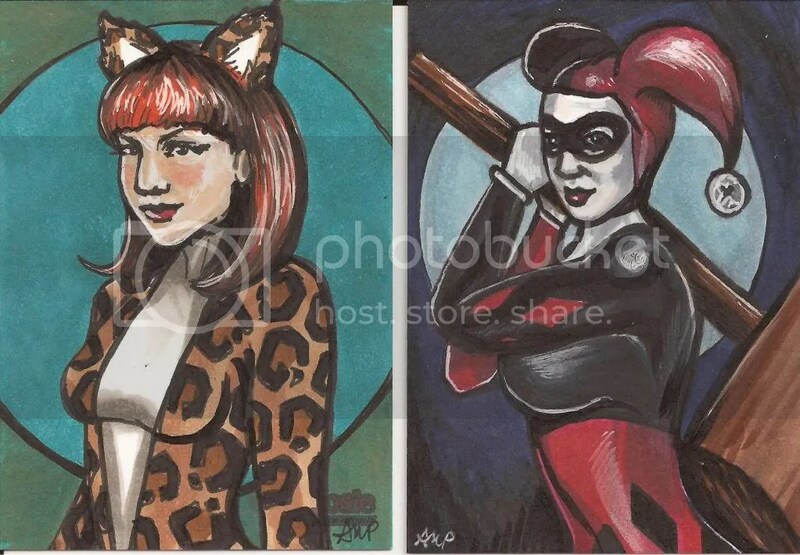 eBay is a good start, search for terms like Sketch Card, Art Card, ACEO card, sketch card commission. In addition to finding hundreds of items to buy already drawn, you can find artists that will draw what you want to see, and you can find those by searching google as well. You can find a commission drawing from as cheap as $7.50 into the hundreds of dollars, why so much? So artists are renowned, known for drawing things you see in books, cartoons, comic books, so why not own something great like that! 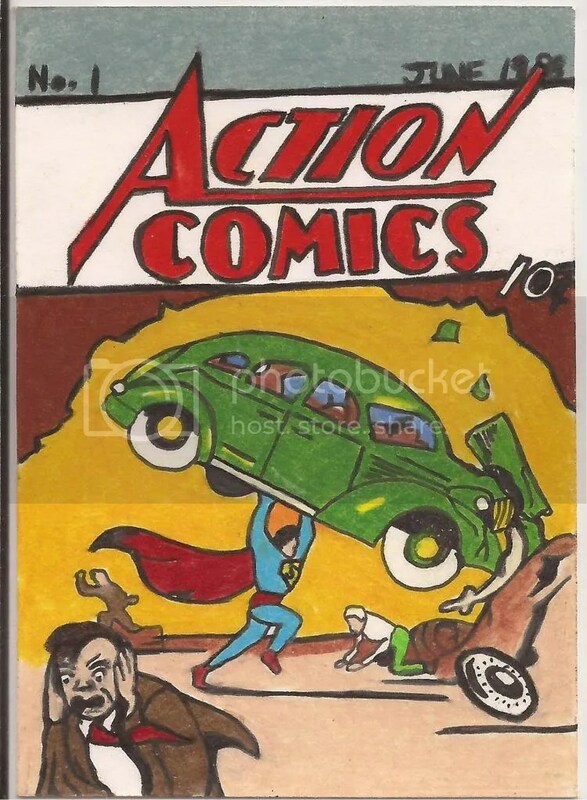 The above art card is a drawn reproduction of the first cover of Superman on Action Comics ever made, this is one of my prized cards, simply love it. It came from a lovely couple of people Rob and TK Pope, wish they would start drawing more again! (hint hint). I have a great deal of their work. There many more amazing artists which I will be showcasing here shortly, so keep an eye out for those in updates to come. So what do you collect? why? and is there a Holy Grail item you have been wishing for? Share your thoughts! I’m a I love Lucy & Spiderman fan. Would love to see Lucile Ball!! I actually own a couple of Lucille Ball ones, I will have to find them scan them and post them. Thanks for your comments. Fun post Tom. Always interesting to hear about collecting from the collectors point of view. That sounds like a good goal, well I will do my part to help your collection then. I will be featuring more articles about this in the future..thanks for replying!